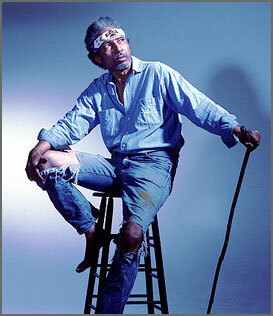 Riley Martin is a New Jersey resident, a former sharecropper, and a true believer in the knowledge he says he accrued during an alien abduction several years ago. He’s also a regular on The Howard Stern Show, and he’s amassed plenty of fans in recent years — some because they enjoy his stories of extraterrestrial jaunts, and others because they’ve heard the Riley Martin prank calls on Stern. Some just dig him because they think he’s nuts. …See, this is why I’m a writer. How else would I find myself on the receiving end of such advice? Over the years and through various T.V. and radio appearances, though, Martin has parlayed his space-travel induced visions for the future into a marketing vehicle that is chugging along nicely, not to mention a niche in pop-culture history. In PR land, it’s another one for the books.